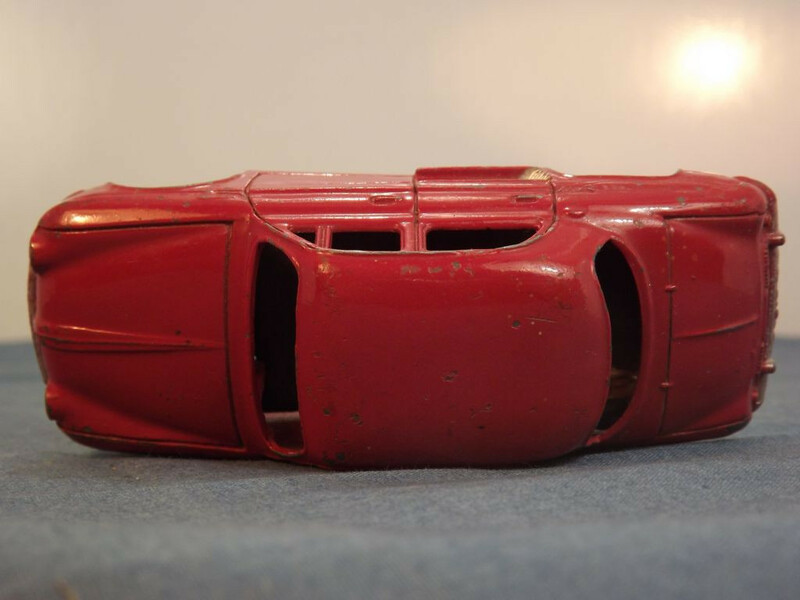 This model is a single piece casting with all features cast into the body casting (doors, headlights, bonnet, air vents, and bumpers). 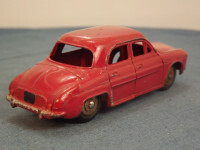 The front bumper, headlight lenses, rear air vents and rear bumper are all picked out in silver, the rear lights are red, and the rear number plate is black. 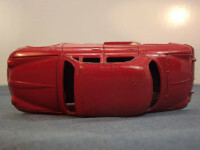 All wheels are of the shaped cast metal type - solid one piece cast metal hubs, chromed, with a separate black rubber tyre. 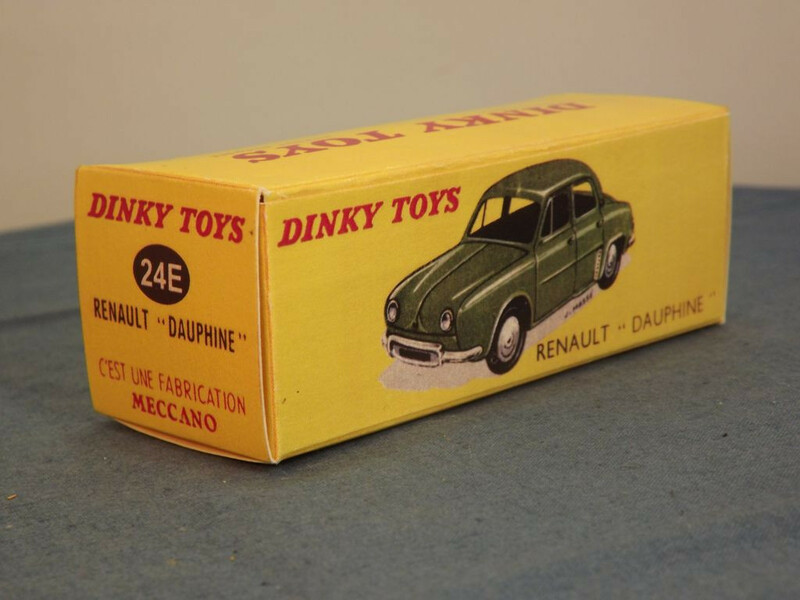 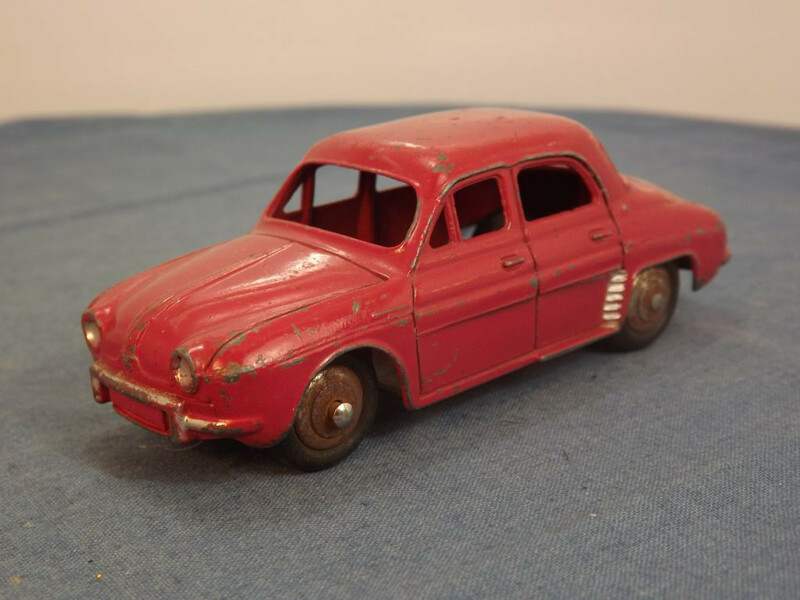 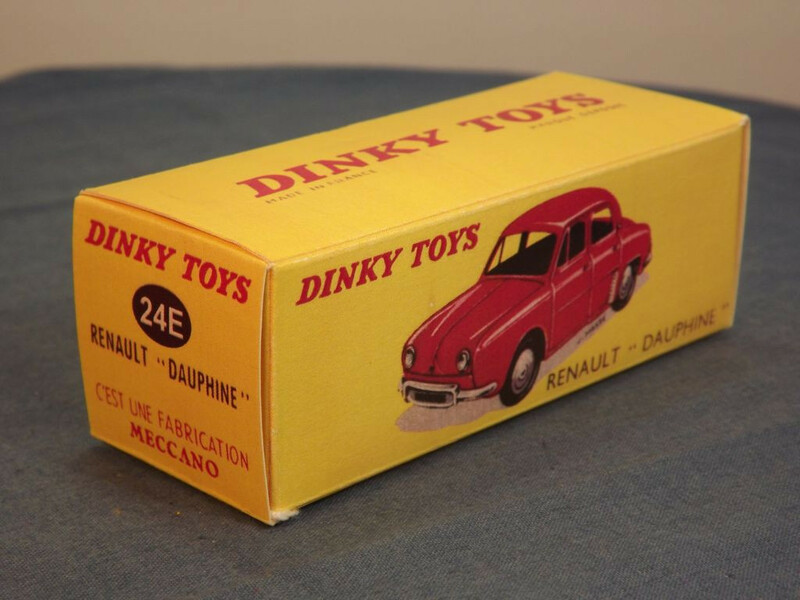 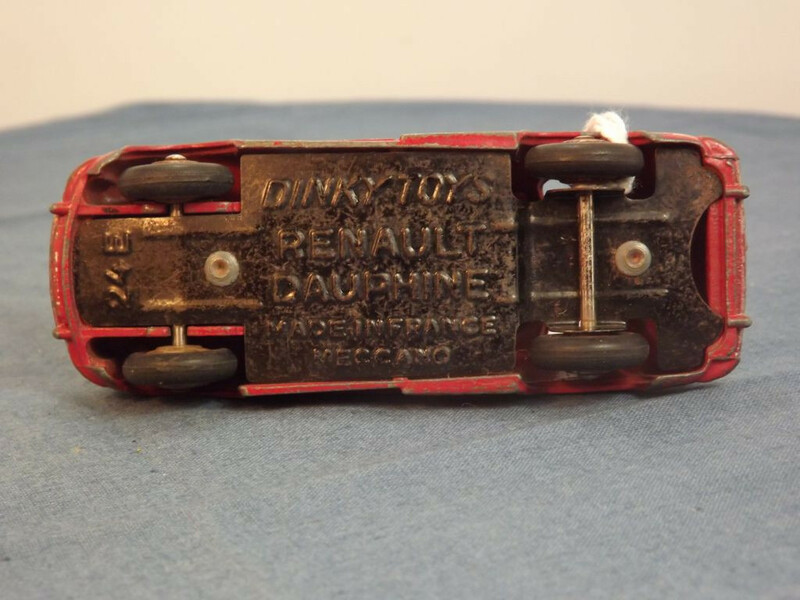 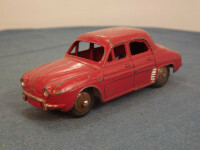 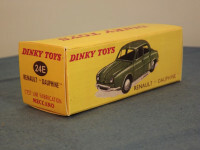 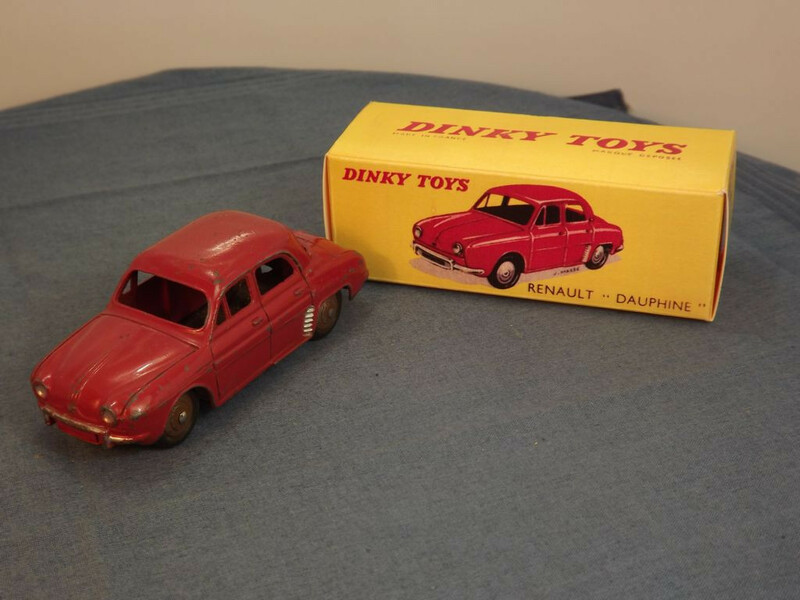 The model has a plain black sheet metal base with lettering that reads "Dinky Toys" in the top centre, "Renault, Dauphine" to the middle centre on two lines, "Made in France, Meccano" to the centre bottom on two lines, and, to the front of the front axle, is the model number "24e". 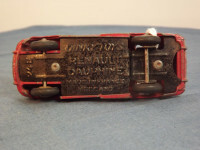 The base is held in place by two machined rivets. 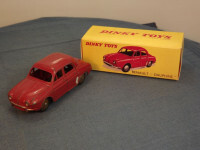 This model was issued between 1957 and 1959..